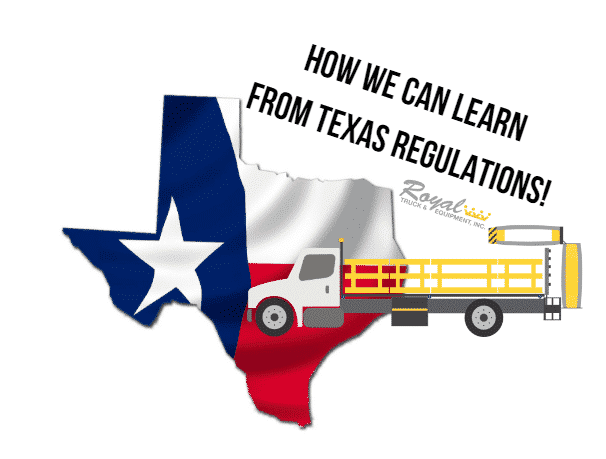 How We Can Learn From Texas Regulations! While there are still states who only recommend following the MUTCD regarding the use of crash trucks, many states are raising the bar on traffic control regulations. Still, we can always learn from each other. We all ultimately have one goal in common – safety. Here’s how we can learn from Texas TMA regulations. Aside from Work Zone Safety’s simplified explanation of the TMA rules of Texas, TxDOT explains more in depth. Until further updates are made public, it states: “The supporting vehicle shall have a gross (i.e., ballasted) vehicular weight of 20000 ± 1000 pounds unless another weight is recommended by the TMA manufacturer”. Some states allow crash trucks to weight as little as 15,000 lbs. In a project summary conducted by Texas A&M Transportation Institute found that the heavier the support vehicle the shorter the roll-ahead distance in the event of an accident. This enhances the safety of workers and allows the crash truck to do its job. TxDOT regulations state that construction companies are required to have crash trucks during short-term freeway closures. Currently, motorists are at an all-time high for distractions while driving. “Taking your eye off the road for just two seconds can increase the risk of an accident up to 24 times”. Our highways need crash trucks more than ever to shield our workers in the zone. In 2015, the number of fatalities in work zones totaled to 700 according to Work Zone Safety. To ensure our men and women get home safety at night, all safety measures need to be put into effect. Regardless if your state only recommends you follow MUCTD, adding a crash truck to your work zone on the highway will make all the difference. TxDOT puts the responsibility in the contractor’s hands to ensure that the attachment of TMA should be one of the manufacturer’s recommendations. Doing research on the type of attenuator you choose to protect you and your workers is key. For example, “TrafFix Devices’ Scorpion TMA has passed ALL optional and mandatory requirements suggested in the NCHRP – 350 for TL – 3”. It also has passed a side angle impact test which goes beyond all government testing requirements. If your state suggests you follow MUTCD, safety is still top priority and having the right attenuator is crucial. Not only has Texas instilled TMA regulations but they have also implemented other safety measures to take safety to the next level that were not enforced by law but by their passion for protecting the work zone! Even if your state only suggests you follow MUTCD, your workers safety is priceless. If you don’t know how to find your states regulations, click the button to find out!